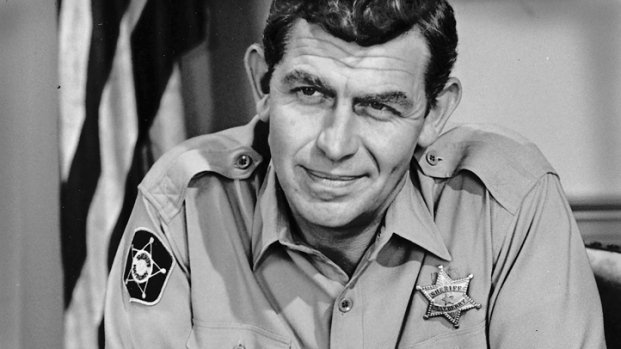 Andy Griffith, a TV legend who starred in two iconic series that debuted a quarter-century apart, has died. He was 86. 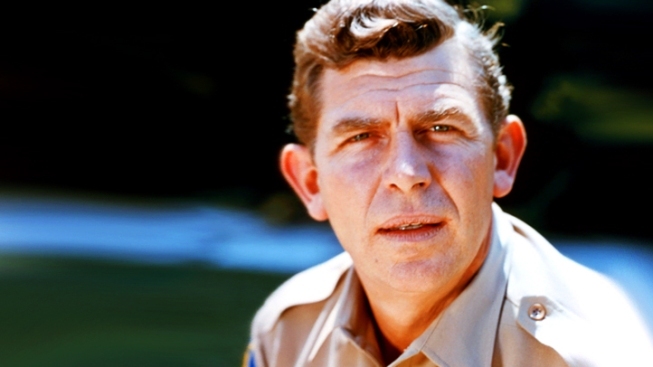 Andy Griffith, a television legend who starred in two iconic series that debuted a quarter-century apart, has died. He was 86. Griffith died at his coastal home in North Carolina at about 7 a.m. Tuesday, Dare County Sheriff J.D. "Doug" Doughtie said. In reading from a family statement, Doughtie said Griffith had been "laid to rest on his beloved Roanoke Island." NBC Los Angeles confirmed that he was buried at 11:30 a.m. at a small, private funeral attended by close friends and family. The cause of death was not immediately clear. Griffith had undergone quadruple bypass surgery in 2000 after a heart attack, The Associated Press reported. "Andy was a person of incredibly strong Christian faith and was prepared for the day he would be called Home to his Lord," Griffith's wife, Cindi, said in a statement to NBC News. "He is the love of my life, my constant companion, my partner, and my best friend. I cannot imagine life without Andy, but I take comfort and strength in God's Grace and in the knowledge that Andy is at peace and with God." Former UNC President Bill Friday first confirmed his close friend's death to North Carolina NBC affiliate WITN-TV after emergency medical services responded to a call from Griffith's home. Griffith was already a star of Broadway, comedy recordings and film when "The Andy Griffith Show" debuted on Oct. 3, 1960. Griffith starred as Sheriff Andy Taylor of Mayberry, North Carolina, a widower with a young son known only as Opie, played by Ron Howard, who would go on to star as Richie on "Happy Days" before becoming an award-winning director. “I’m forever grateful RIP Andy,” he wrote. In a statement, President Barack Obama wrote that he and the first lady "were saddened to hear about the passing of Andy Griffith ... A performer of extraordinary talent." North Carolina Gov. Beverly Perdue said that the state had "lost its favorite son." "Andy Griffith graciously stepped into the living rooms of generations of Americans, always with the playful charm that made him the standard by which entertainers would be measured for decades," Perdue said in a statement. "In an increasingly complicated world, we all yearn for the days of Mayberry. We all will miss Andy, and I will dearly miss my friend." With its earworm of a theme song and a cast of eccentric supporting players, including Don Knotts and Jim Nabors, "The Andy Griffith Show" was an instant hit with ratings perennially in the top 10 during its eight-season run. The show's popularity was so enduring that it spawned a pair of spin-offs, "Mayberry R.F.D." and "Gomer Pyle, U.S.M.C." Nearly 20 years later, Griffith would emerge anew in 1986 on network TV as "Matlock," an aged country lawyer from Georgia with a southern drawl, a winning smile and an unblemished record in the courtroom. Though the show isn't viewed with the same esteem as "The Andy Griffith Show"—it was a frequent punch line on shows like "The Simpson"—it would run for nine seasons. Born on June 1, 1926, in Mt. Airy, N.C., Griffith first gained famed as a monologist, on the strength of his recording "What It Was, Was Football," which is told from the perspective of a backwoods yokel telling of setting eyes on the game for the first time. The recording would be a hit in some parts of the country, earning Griffith an appearance on "The Ed Sullivan Show," and was later turned into a feature in Mad magazine. In 1996, Griffith would return to the recording studio to cut an album, "I Love to Tell the Story, - 25 Timeless Hymns," which would earn him a Grammy for Best Southern, Country, or Bluegrass Gospel Album. Griffith is survived by his third wife, Cindi Knight, whom he wed in 1983, and his daughter Dixie Nan, from his first marriage, to Barbara Bray Edwards. Perhaps no one better captured Griffith's legacy than President George W. Bush.